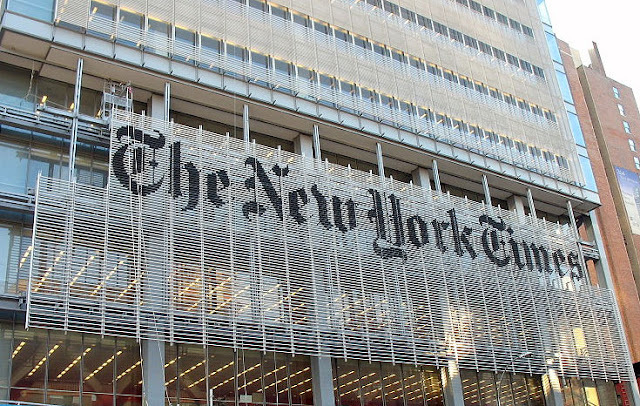 The New York Times announced Thursday that it will begin charging readers for online access to its content, marking a dramatic shift in the relationship that a news outlet with the largest online readership in the country will have to the Web. In a letter to readers, Arthur Sulzberger, Jr., the publisher of the paper, laid out the details of the impending paywall, which he said will go into effect immediately in Canada and on March 28 for the rest of the world. He called the move, which has been in the works for over a year, a "significant transition" and "an important step that we hope you will see as an investment in The Times, one that will strengthen our ability to provide high-quality journalism to readers around the world and on any platform." Sulzberger said that readers will be allowed to access 20 articles a month for free. After that, they will have to subscribe to get access to further content, both for the paper's website and for its smartphone app. There are three pricing plans for people to choose from; at each pricing level, the level of access readers have to the paper's content increases. The cheapest costs $15 per month. The most costly plan costs $35 per month, and allows unlimited access to the Times' website, smartphone and tablet apps. People who subscribe to the print edition of the paper will also have unlimited access. These details largely conform to earlier reports on how the paywall would work. The Times had made it clear that it did not want to mimic the total paywalls put into effect by papers such as The Times of London and Newsday, which block access to all content unless the reader pays. (Those paywalls resulted in a huge drops in papers' online readership.) Most readers will likely not go past the 20-article-a-month limit. The paper also signaled that it wants to stay relevant in the social media world. According to Sulzberger's announcement, people who come to the Times site from Facebook, Twitter or from blogs will be able to read those articles even if they have gone over their monthly limit. However, Sulzberger said that a limit will be placed on "some search engines," meaning that after readers have accessed a certain number of articles from search engines, any future articles they access from there will be added to their monthly count. AllThingsD's Peter Kafka reported that the only search engine that will be affected this way is Google, where there will be a five-article limit. This marks a clear attempt by the Times to close what could be a giant loophole, since so much online traffic is directed through Google. But it also presents a risk for the paper for the same reason. The new paywall marks the second attempt by the Times to set up a new revenue stream for its online operations. In 2005, the paper erected a paywall around its opinion section called TimesSelect, but retreated in 2007 after a drop in readership and complaints from its op-ed columnists.